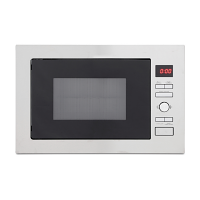 The MWBI72X integrated microwave and grill offers 5 power levels and 8 auto cooking programmes for quick and easy no fuss cooking. 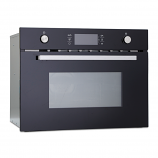 With button and knob controls, an LED display and interior light it offers everything you need, and nothing you don't. 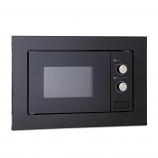 The MWBIC74B integrated combi microwave is perfect for those who love cooking as it cooks in a similar way to a conventional oven, giving you that extra cavity space to meet all your cooking needs. 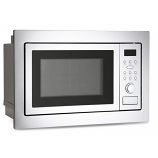 Montpellier Built in Digital Combi Microwave, Massive 44ltr Capacity, Touch Control & Pull Down Door. 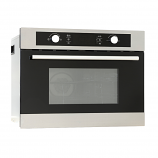 Along with Auto Cooking Programmes & 3D Hot Air On with cooling fan.